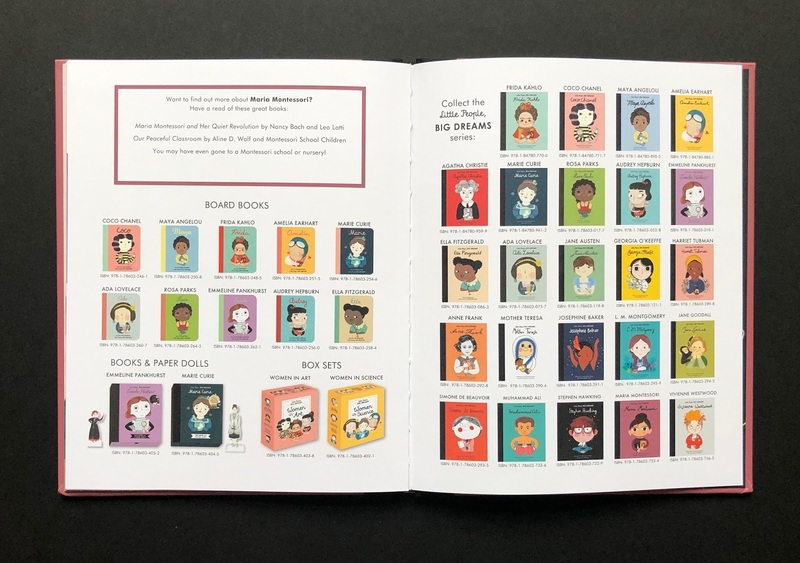 Congrats to the guys at Quarto for the exciting list of names they came out with this year to expand the beloved series Little People, Big Dreams: this was by far the most anticipated release for us and it's sitting proudly on our shelf and in my daughter's classroom library. 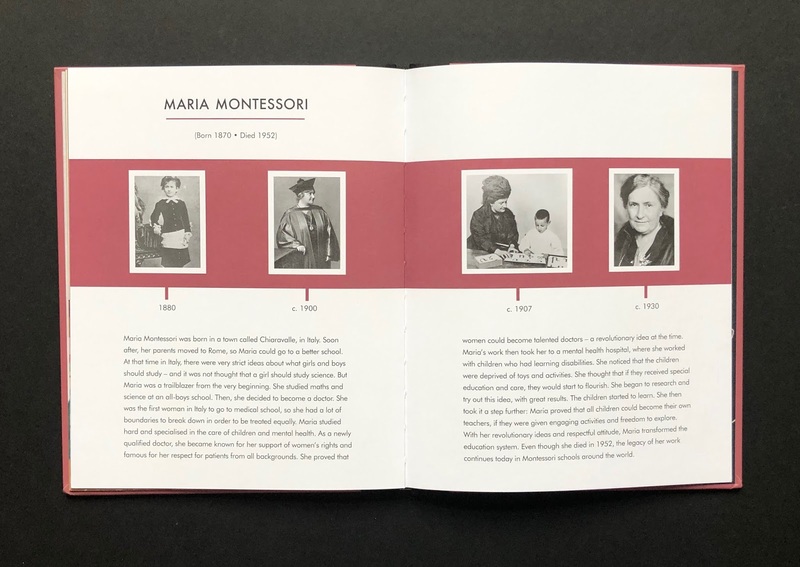 Many people around the world know her name and know about Montessori kindergartens, although I feel a much smaller percentage of people know who Maria Montessori was and how her research changed the course of traditional education, and still challenges it today (despite not using iPads:). Montessori is not just for kindergarteners, it's a whole education system with an elementary and adolescent programs which can go (for the very lucky ones living in the US close to such schools) up until uni. 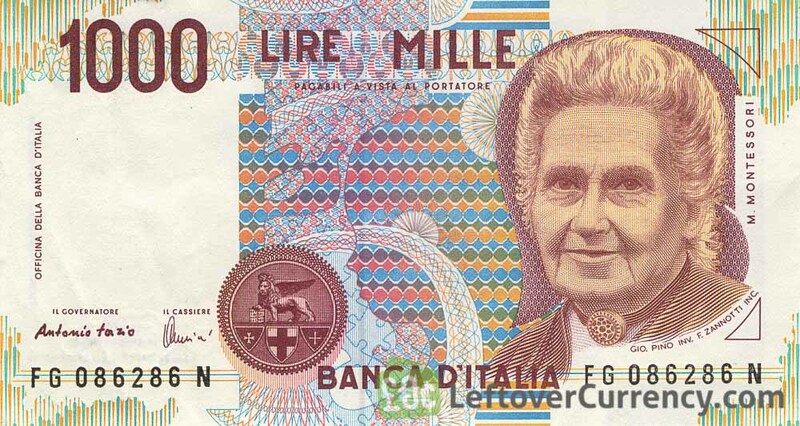 Maria Montessori was born in Rome in 1870, studied science in an all-boys school and became the first female doctor in Italy in 1896. She first worked with disabled children and then became one of the most important educators in the world. 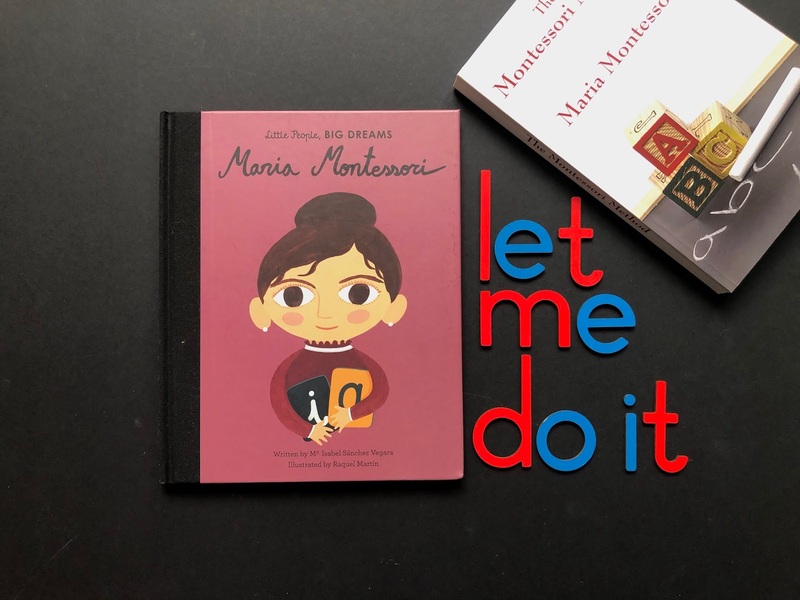 Her method is applied in hundreds of schools all over the world, connected by the Association Montessori Internationale. The Montessori method focuses on self-directed activity on the part of the child and on clinical observation on the part of the teacher. It stresses the importance of a prepared environment, which means to adapt the learning environment (including the home environment) to the child's developmental level, in order to allow her to be independent. 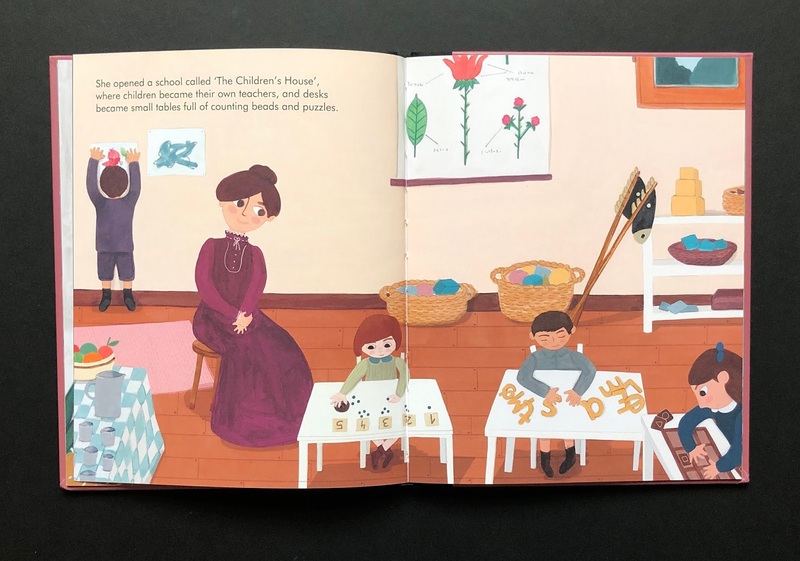 The Montessori materials are the core of the Montessori pedagogy: they were developed by Maria Montessori to support learning in children with disabilities, then brought to her schools. The materials allow the child to absorb abstract concepts through physical activity and sensorial experience. The implications and benefits of such method are extensive and impossible to explore here. 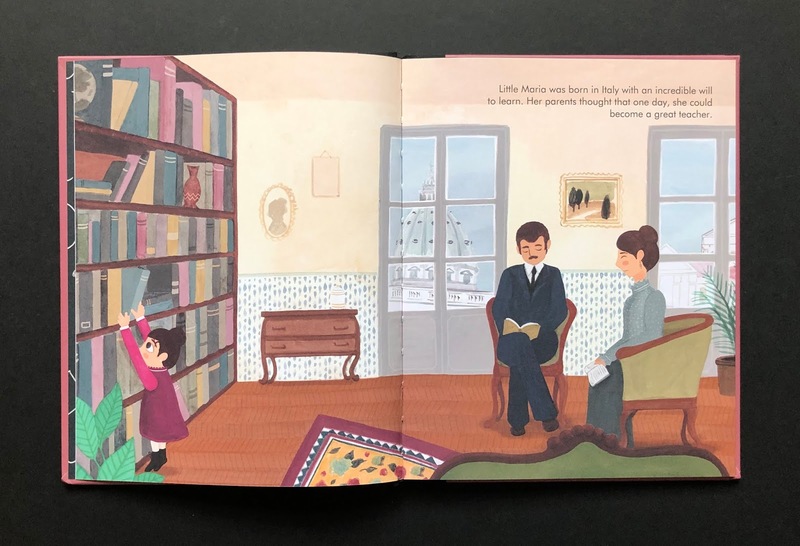 on top of Montessori's own books. 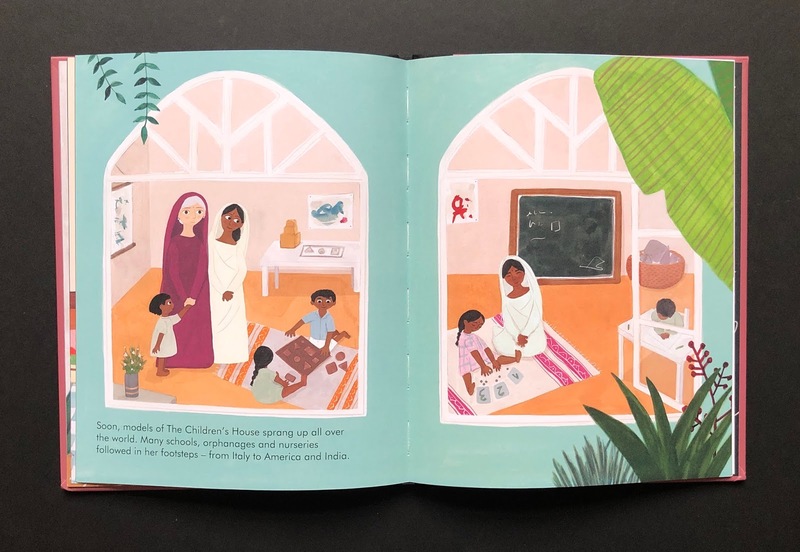 For everyone, little ones and grown ups, this is a great title to get to know the life of this amazing woman, who elevated childcare and education to their highest and most purposeful meaning, creating a school for life. 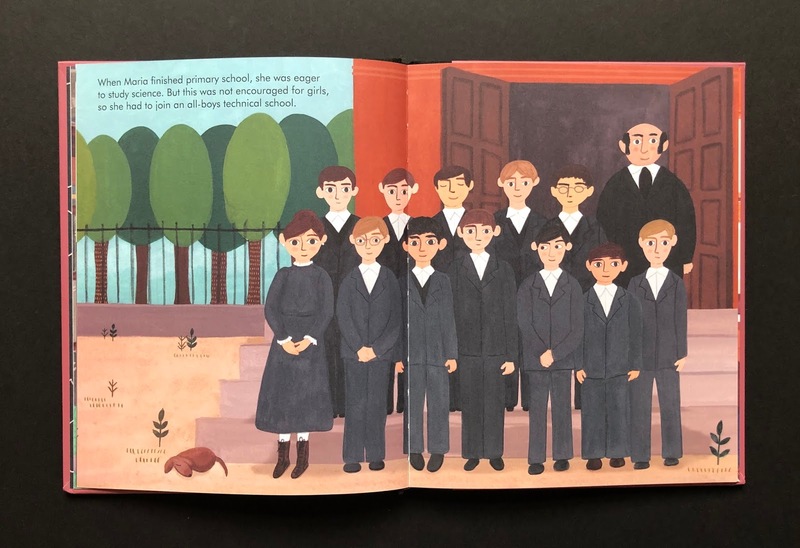 English-language edition published by Frances Lincoln Children's Books, an imprint of The Quarto Group.